Canada’s real estate market had a rough start at the beginning of this year. Tighter mortgage rules, the implementation of the foreign buyer and speculative taxes, and extremely high prices led to a slow start. However, thanks to Toronto the country’s real estate market is regaining strength. Increases in Toronto have pushed Canadian homes sales higher for the third month. Nationwide transactions rose 1.9 per cent from June, which brings them closer to the 10-year average. Toronto had the highest increase, with sales in the area growing by 7.7 per cent. Fraser Valley near Vancouver saw home sales climb by 5.6 per cent. Home prices in both Toronto and Vancouver have fallen a bit. In Toronto, prices fell by 0.5 per cent in July and 0.6 per cent in Vancouver. 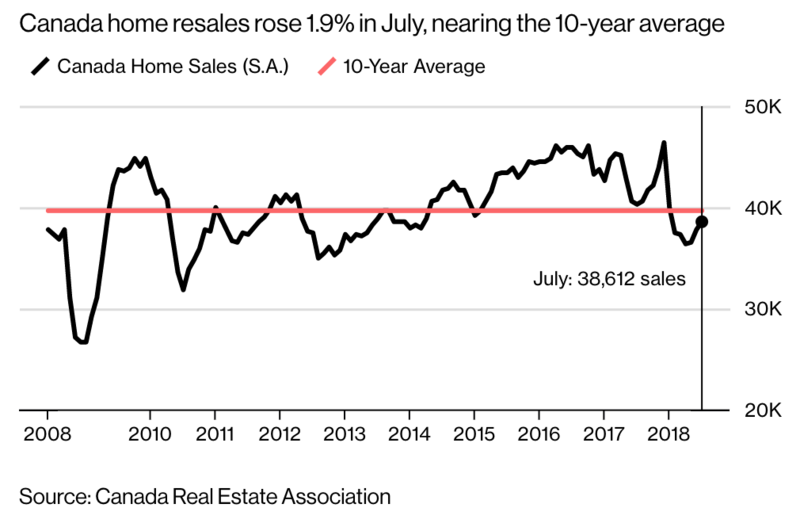 This is the first time since 2013 that benchmark home prices fell for two straight months in both Toronto and Vancouver. Home sales were slowed by a number of changes earlier this year. 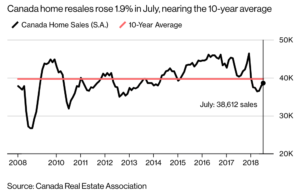 Tougher mortgage qualification rules, the Bank of Canada raising interest rates four times, and the foreign buyer tax led to a steep decline in home sales in Toronto and Vancouver. Slowly the market has begun to regain its footing. Toronto has certainly been the driving force behind the increase. Sotheby’s International Realty Canada released a new report that showed luxury sales in Toronto increased by 19 per cent this summer. A luxury home sale is defined by any home over $1 million. Home’s priced at over $4 million have seen an even sharper increase, growing 34 per cent year over year. Both CREB and Sotheby’s expect Toronto’s real estate to continue to grow and thrive, which in turn will advance Canada’s overall real estate market.